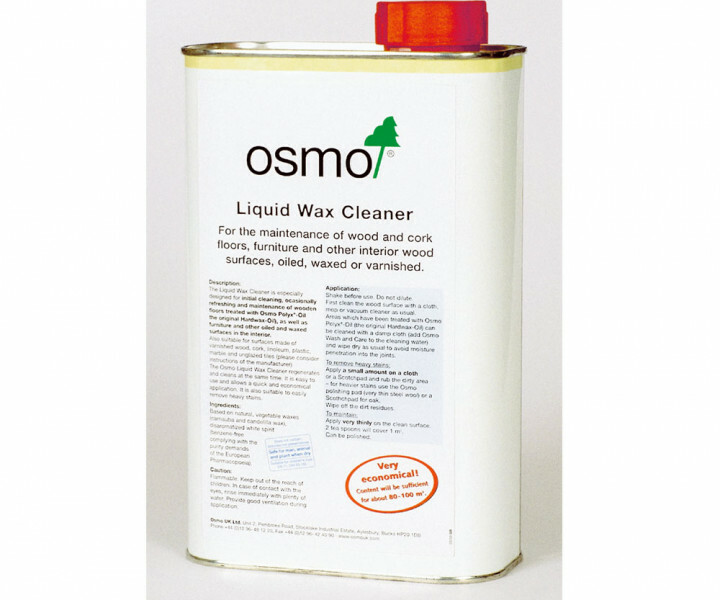 The Liquid Wax Cleaner is especially designed for initial cleaning, occasionally refreshing and maintenance of wooden floors treated with Osmo Polyx®- oil the original Hardwax - oil, as well as furniture and other oiled and waxed surfaces in the interior. The Cleaner regenerates and cleans at the same time.  It is easy to use and allows a quick and economical application. It is also suitable to easily remove heavy stains. Based on natural vegetable waxes (carnauba and candelilla wax). 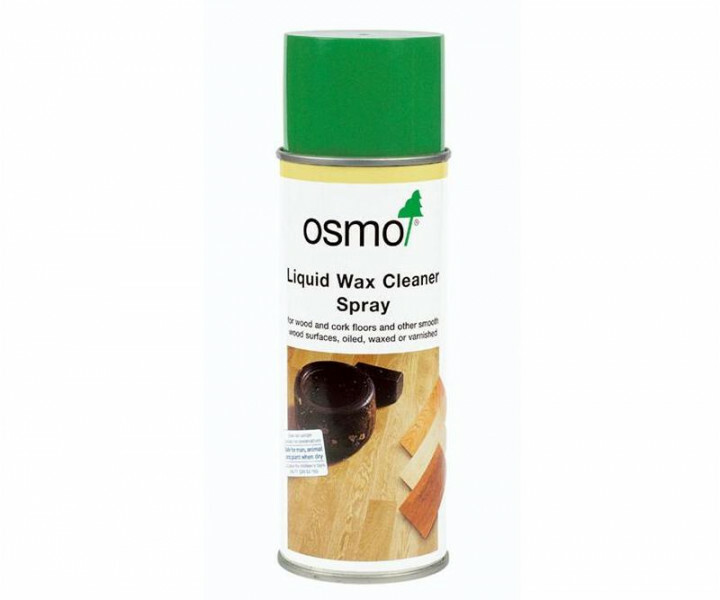 Also suitable for surfaces made of varnished wood, cork, linoleum, plastic, marble and unglazed tiles. 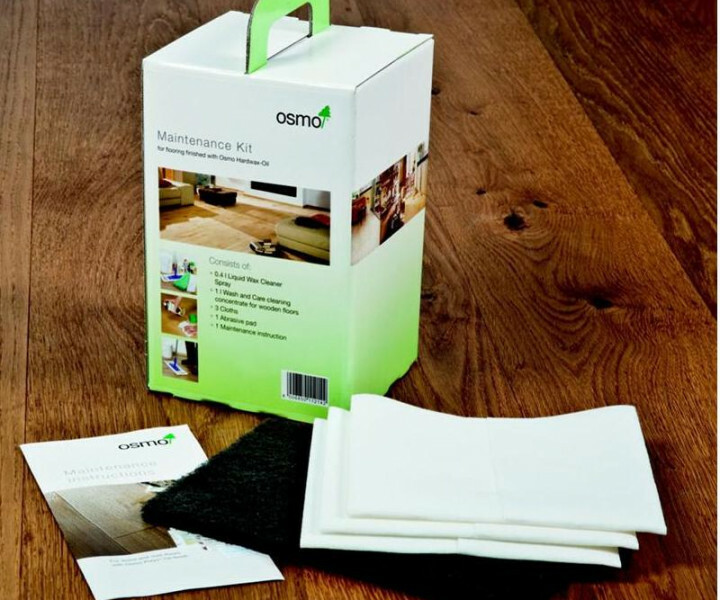 For newly finished Osmo flooring wait at least two weeks before buffing. 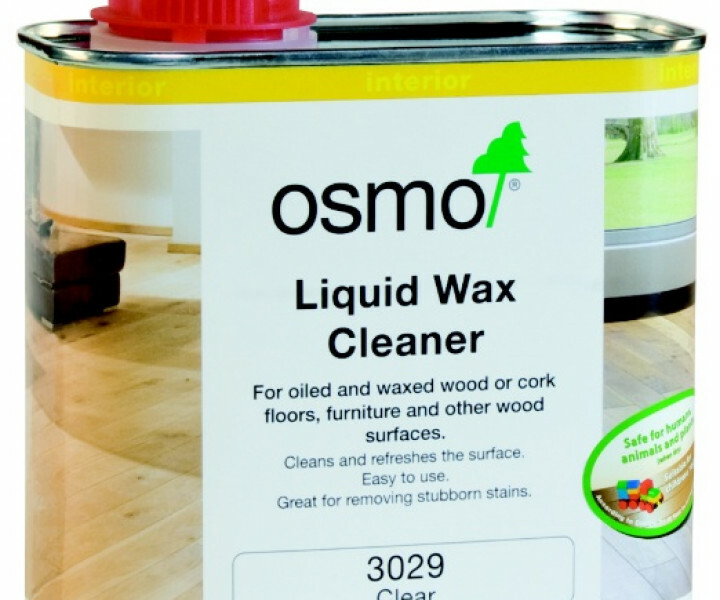 If a stubborn stain or shoe mark is on your wooden floor and wont come off with the wash & care product, then try a small qauntity of wax cleaner on a cloth or a scotch pad and then remove the residues witha clean cloth. Be careful not to rub the flooring too hard, you can also use neat wash & care cleaner and worse case the floorboard may need to be mnasked off and re-oiled. The product has an excellent coverage rate and just two tea spoons will do 1m2 of flooring. 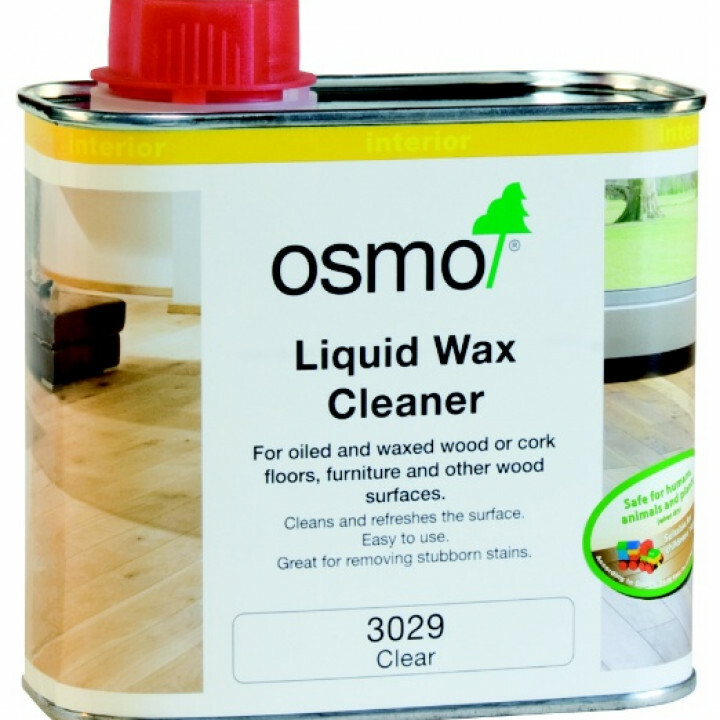 This can be polished & buffed either by hand or with a buffer / polishing machine such as the new Osmo Floor X Center. Do not thin or dilute, shake well first aqnd always ensure that the floor has been cleaned with a wood floor cleaner first with a cloth or a damp mop. Ensure that the area is dry and free of dust and then apply the Liquid wax via a cloth but do not be tempted to over apply as this can lead to a wax build up on the surface. Comes in 500ml tin, spray version, 1L tin, 10L & 25L drum in either clear or white pigmented.